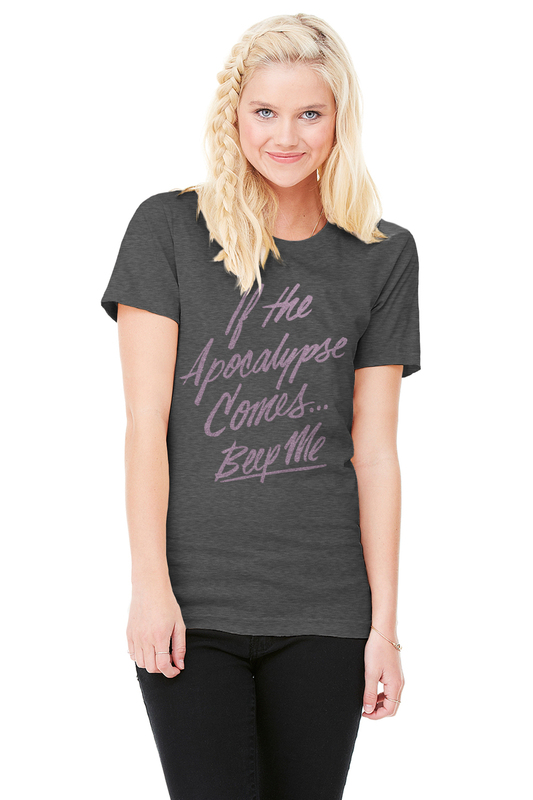 We've teamed up with the great Jordandené to off this exclusive T-shirt celebrating one of many strong female pop culture icons as well as 20 years of Sunnydale slayage. Sizes are unisex. NON-ATTENDEES: We have reserved a limited number of this exclusive for those not attending San Diego Comic-Con this year. You can preorder for delivery after the show through the Non-Attendee link on this page. NOTE: This order is for pickup at San Diego Comic-Con (July 18-22) at Booth #4539 during regular show hours (no pickups are allowed on Preview Night, Wednesday, July 18). You must present a copy of this order (either on paper or on your phone) along with a photo id to pick up your order. Orders that are not picked up can be shipped after the show for a handling fee of $5 plus shipping cost. Due to the limited nature of this exclusive, your credit card will be charged immediately to reserve the item for pickup. No coupon or discount codes can be used for this item.